Naoto Kan, Japan’s 94th prime minster who took the position this June, enters into the web by his new blog yesterday, November 18th. 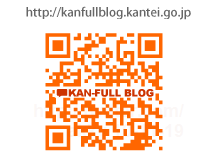 The blog, named “Kan-full Blog” [J] after his sirname “Kan” and an English word “full”, which shows his full efforts on communication, also has a pun meaning “camphor” to inject for “revitalizing Japan”, as explained on the blog’s sidebar. On the first post, the author, who is not Mr. Kan himself (clear by how the writing handle the name and the title), explains it is going to have three categories of posts. Posts featuring movie which is either “interview of the PM” or his address/speech. Staff will find his odd minutes between busy works and take his fresh voices. Daily report of his activities. Meant to be an index to the detailed political resources on all government ministries and agencies websites. PM’s office staff and others will report the prime minister as they see. So it is not direct speech by Kan himself, but by his team. It is nothing strange as Japanese politician’s blog, there are no comments or trackback systems offered on each blog post. There is a feedback form, on which you may send his/her opinions, suggestions, etc. Your gender, age (from 0 to “over 100”) and prefecture(or “oversea”) are asked but not mandatory. For a notification, you can choose from RSS1.0, RSS2.0 or e-mail. Mobile version is guided by both URL and QR Code. The blog name is embedded at the centre of the QR Code, which is a gimmick using the bar code’s error correction ability. The blog article has three icons, linked to Google Bookmarks, Hatena Bookmark and Delicious Bookmarks. Hatena’s one is the most popular one in Japan, but others are not so popular than non-listed ones like Yahoo! Japan Bookmark, Buzzurl or Livedoor Clip. There are no Mixi Check, Twitter or Facebook Like buttons. The blog’s URL had been reported on some Japanese media in morning 18th, however, when you tried to access it, you were asked to type user name and password by a dialog box (basic authentication dialog) until the evening, around 18:00. The former prime minister Yukio Hatoyama, who is pretty unpopular now, ran Twitter and once got the most followed Japanese Twitter user title. According to Asahi Shimbun, Kan did not continue the prime minister’s e-mail newsletter, which had been kept by recent several PMs for years.